CHEYENNE — Snowmobilers could face higher fees to help maintain and groom the thousands of miles of trails managed by the state. A legislative committee voted last week to study a plan to raise the annual snowmobile permit fee from $25 to $35 for private users and $75 to $105 for commercial operators. Domenic Bravo with the Division of State Parks, Historic Sites and Trails said the hikes would raise about $351,000 a year. He told the Joint Travel, Recreation, Wildlife and Cultural Resources Interim Committee that money is needed to make up for the likely loss of federal funds next year. The state has relied on $800,000 from the U.S. Department of Transportation’s Recreational Trails Program to make up for a funding shortfall in its trails program. Bravo said it is expected that Congress will not renew the funds next year. The Legislature’s approval of a fuel tax increase earlier in the year is expected to raise about $400,000 a year for the trails program. Bravo said that would soften the loss of the federal funds, but the state still would have to prioritize what trails get groomed if it does not find more money. Grooming is done by large snowplow-like vehicles that smooth and carve out trails across the state. Tim Raap with the Wyoming State Snowmobile Association said a survey shows many of his members would support the increase. He added that groomed trails are critical for many of the snowmobilers. He said they also serve a key function of providing access to harder-to-reach federal lands. 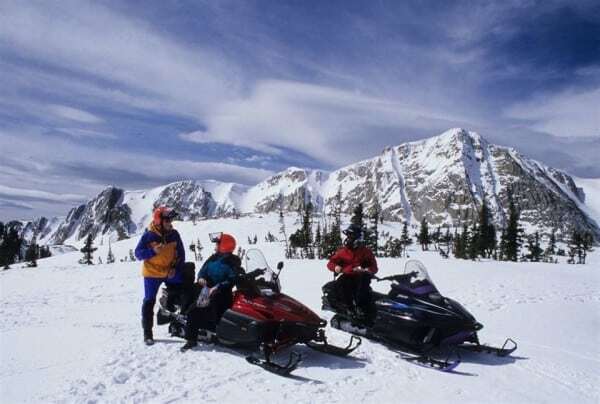 The Legislature rejected a proposal during the 2013 session to increase snowmobile registration fees, end the annual permit fees for residents and increase the annual permit fee for nonresidents. Rapp said there likely will be some snowmobilers that will oppose the increase. But Ray Pearce, an avid rider and president of the Power River Sno-Buffs Snowmobile Club, agreed that most riders would support the increase. He said he would feel better about the hikes if he had more assurances there is no waste in the trails program. But he added that the grooming work is too important to not fund. Pearce said it also is important to have groomed trails so search and rescue teams can easier reach people in distress. He agreed with Rapp that there will be a minority of riders who will oppose the change. The committee voted to further discuss in August whether it will sponsor a bill for 2014 legislative session to raise the fees. Rep. Allen Jaggi, R-Lyman, was one who was troubled by raising the fees. I’m now not certain where you are getting your information, however great topic. If I go tho that place, I surely will have some fun and relax. Appreciate for your information, I will to go there next winter.